So here I am watching the Stanley Cup Final like the good Canadian I am and realize it's almost been a week without much to show in terms of music production. In my defense I find myself battling a bit of a learning curve. 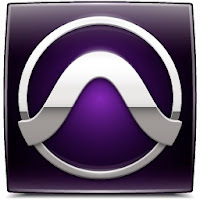 Without getting too technical - I've recently updated my computer to the latest version of Microsoft butchery (Windows 7) - only to find out that my music software of choice is no longer working for me (Cubase). 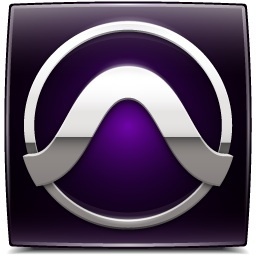 However my other recording program (Pro Tools) seems to be working just fine. It's been a number of years since I last used it so it's taking some time to get back up to speed. My summary would be that as a recording musician Cubase is great to help you get your ideas down really quickly and sounds pretty good too. Pro Tools on the other hand is a little more cumbersome in terms of ease and intuitiveness but has the potential to make a better sounding recording. So yeah, I used to use Pro Tools because it's considered the "Studio Standard" and I was looking to get myself a job as a professional Jingle Writer. In the meantime I also used the program to record this album a number of years back for my band at the time called 'Say Ah!'. Anyhow - I'm rambling... the long and short of it is that I'm planning to do this project in Pro Tools and have been taking the past week to re-familiarize myself with the ins and outs of the program. The idea for this first song that I've been playing around with in my head is to have a sort of dueling guitar + bass thing going on. Not playing nice together or taking turns but actually alternating notes in quick concession. To do it right is going to be quite an undertaking in terms of production - so I think I may put this idea on the back burner for another month and start with something a little more straight forward. We'll see. I am pleased to say that the week hasn't been completely fruitless in terms of music. I did compose a little music (in the bar scene) for my wife's new acting reel. Well, I've got 24 days left - that's plenty of time right!? ... Not looking good for Vancouver at the moment (losing 3-0)... shucks. Goodnight folks. Talk to you soon. Song 1 - Day 16: Scratch that.